Have you ever wondered how it feels like to be in a place where all you can see is just how magnificent this world is? Have you ever imagined yourself standing at the summit of a high mountain, while the cool air caresses your face and the sound of nature relaxes your very soul? If you are itching to try something new and challenging, then perhaps a trek on the highest peak in the Philippines will satisfy your craving for adventure. Towering at almost 3,000 meters above sea level, Mt. Apo is the highest mountain in the Philippines. Aside from being the highest peak in the Philippines, this wonderful creation is so blessed by nature. As you trek your way to the top, you will be seeing several unique plants and animals that can only be found in this region. One of these is the Waling-waling, a flower which belongs to the orchid family and the monkey-eating eagle, which is now considered as an endangered species. 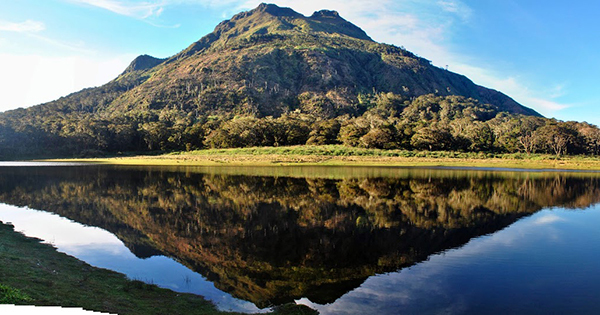 At the foot of the mountain, one can see the beautiful and picturesque Lake Venado. The lake is so cold and tranquil. It is surrounded by pine trees and one can see a very clear view of Mt. Apo. It is also where many of the trails intersect so climbers will have time to meet and socialize with other climbers. There is also a small hot spring in one of the camp sites. The water is very warm and soothing. Many climbers, take a dip into the pool after a long and tiring day of trekking. Generally, it would take a three-day climb depending on the trail that you have chosen to complete your Mt. Apo trekking adventure. Since climbing Mt. Apo is not like a walk in the park, it entails some physical preparations before starting your ascend. It is recommended that at least regular cardio exercise such as jogging or running for at least 30 minutes per day for two weeks would give you the needed stamina to reach the peak. Once you reach the summit, you will be treated to a fantastic view of the mountain’s crater. It is surrounded by white boulders where you can sit down and take a photo of yourself or with your group. A proof that you were able to conquer the highest peak in the Philippines. So what are you waiting for? Ready those hiking equipment and book your climb now. Visit www.discovermtapo.com for more details. This is the best time to discover Mt. Apo while its beauty still remains. To learn more about this adventure you can check out our previous posts. 4 REASONS WHY EVERYONE SHOULD CLIMB MT. APO Is Summer the Best Time to Climb Mount Apo?